Spot a migraine before it ruins your day Everybody, who at least once suffered from a migraine, knows exactly the difference between a headache and the latter. 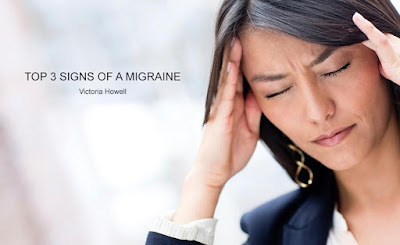 The word pain is not strong enough to convey the whole spectrum of symptoms migraine causes. It paralyzes you and leaves effortless in the teeth of pain; moreover, it causes many side effects such as visual problems, dizzying, and light sensitivity. Once I’ve even wondered, whether migraines can cause fainting? Let’s find it out, and define three most typical signs of a migraine. If you suddenly noticed that the room starts to spin, or some flash of light appeared from nowhere, here it comes. It is a result of your brain's visual cortex ramping up and slowing down. Sudden migraines change the chemistry inside your brain, so it immediately leads to definite problems with a physical state. A migraine makes you be overwhelmed with a desire to hide somewhere in the dark corner, where no single sun ray can reach you. Light strongly irritates your eyes, so sharp and sudden flash can make you faint. You should be very careful every time you feel migraine is coming. As well as with your eyes, migraine causes sick sensitivity in your whole body. You can literally feel how suffers your brain in such moments. Everyone who tries to help you, cause even more pain, so this symptom needs additional medicaments to take.